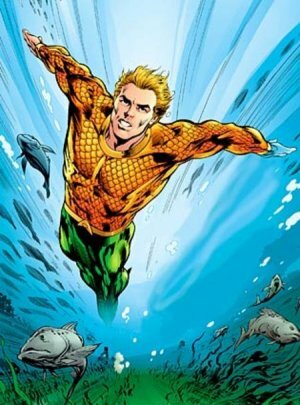 Only Aquaman goes into the ocean without a dive knife. New divers often undermine the importance of having a good dive knife: you rarely use it but, when you do, it is a life or death situation. No, you are not going to use your dive knife to fend off enemy divers. 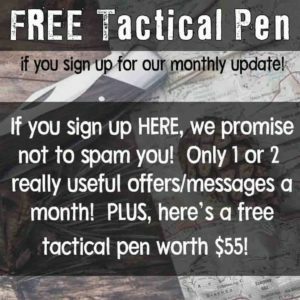 All it does is cut you free from lines, rope, vegetation, and other stuff that’ll trap you. This is very scary because, under water, you can’t call for help and no one will see you if the water is dark. This guide will walk you through the steps needed to find the best dive knife. 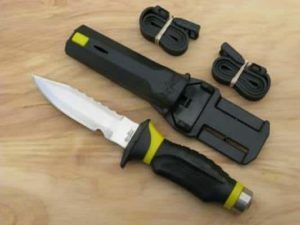 If you are new to diving and are going on a guided dive, you might not need a dive knife but it is still nice to have one for those just-in-case events. If you are an experienced diver diving in shipwrecks, heavy vegetation, caves, or not so clean waters, a dive knife is a necessity. So, what makes a good dive knife and which dive knives on the market should you consider? This guide will talk about that and much more. Point-you can get either a blunt or pointy tip. I highly recommend everyone to get a blunt tip. You are more likely to stab yourself with a pointy tip than with a blunt tip. Also, there is no real use for a pointy tip when diving: you are not going to stab anything. Metal-dive knives come in either stainless steel or titanium. It is either 300 or 400 series stainless steel. The 300 series is more rust resistant than the 400 series but much softer. Titanium dive knives are almost rust proof since they have no carbon but can chip if you are planning on chopping or prying with it (you should never use a knife as a pry bar by the way). I highly recommend titanium blades since rust is a big problem when diving. You are mostly cutting rope so the chipping issue is really no problem at all. Blade-dive knives come in either serrated, non-serrated, or mixed blades. Serrated blades are good for cutting non-manmade materials whereas non-serrated blades are good for cutting natural things like vegetation. 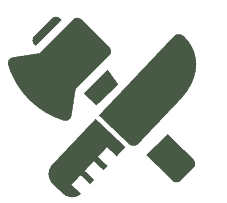 You can find dive knives with both a serrated and non-serrated blade but note that the length should be long enough to fully utilize both sides. Length-dive knives range from small (2-4 inches), medium (4-6 inches), and large (6+ inches). Small dive knives will get the job done but make sure that the handle is large enough for you to properly grip and control with gloves on. Medium dive knives are the best in my opinion whereas large dive knives limit your mobility. Line Cutter-a line cutter is a notch in the knife that was designed to cut fishing line. Try to find a knife with a line cutter, it is definitely worth it. 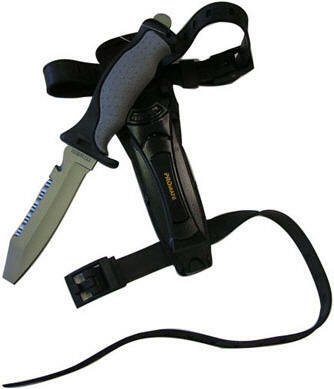 Sheath-the sheath is very important in a dive knife. If it doesn’t fit your leg properly, it’ll fall off and your adventure is now a search and rescue trip. Besides those points, most dive knives are basically the same. It is usually a fixed blade knife that has a full tang construction. The handle is injected plastic and wraps around the tang. Plastic is used because it has good grip and you won’t need anything stronger than that for cutting rope. You can buy non-fixed blade dive knives as well but I find those to be quite hard to open with gloves. Also, they are not as easy to control compared to a 6 inch fixed blade knife. A good companion to a dive knife is some dive scissors. They are basically EMT scissors that will cut through anything. They are around $10-$20 and are very much worth it in my opinion. 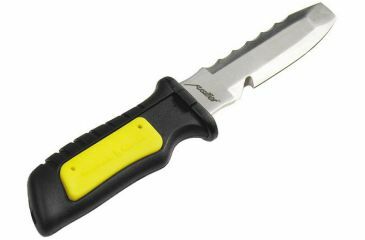 This dive knife became popular because this knife (or a knife like it) was used on the show Man vs Wild with Bear Grylls. He did stuff like use the knife with a rock to chop down a tree, sharpen it with stuff lying around the coast, and survived until 6am the next day (if you watch his show, you’ll get the joke). I personally dislike Bear Grylls because his show is more on entertainment than actual survival skills; however, I will not let that cloud my review. 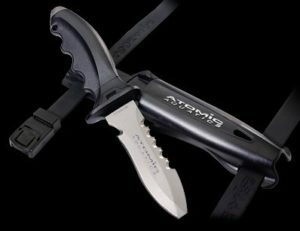 The Promate dive knife is a $60 knife that has been sold under many other brands. This knife is the best-selling dive knife on Amazon. You can find knives like this in department stores as well. Some versions even feature a cork handle for boat use. This version has a titanium blade that is a little bit short of 5 inches. It comes in either a blunt punt or a sharp point. The blade is serrated and features a line cutter. I believe one of the reasons why this knife is such a popular knife is that it was featured on Man vs Wild. If that factor was removed, this knife would be just a regular, average dive knife. Some reviews stated that the sheath is slippery and can slip off your leg during a dive. This is not a problem if you place your knife inside your BC but, if you are going to get a sheath, it should work. Other reviews stated how they think the knife’s quality is low–however, I believe that the reviewer was new to dive knives in general because this knife’s quality is not bad at all. He was just unused to the plastic handle. The knife is of good size but I dislike how it has only a serrated edge. For the same price, you can find a mixed edge. If you would be diving in areas with mostly manmade clutter, this is a great knife. This knife has a 5 inch long titanium blade that ends in either a blunt or sharp point. The knife has a hollow ground edge as well as a serrated edge. The sheath is much better than the last one and will not fall off easily. There is really no real difference from what I can tell between this knife and the last knife beyond those points. This knife received a 3.5 star rating on Amazon but it has only 5 reviews. 2 of the reviews come from reviewers who are new to diving and, therefore, their 1 star reviews must be taken with some salt. The other 3 reviews all gave the knife 5 stars. What I really like about this knife is that the serration are much larger than the serration of the Promate dive knife. This allows you to sharpen it easier–but don’t expect to be sharpening it regularly since titanium is incredibly hard. You can’t hit the back of the knife with a rock and use it to chop down a tree like what Bear Grylls did, but I’m sure no one who dives regularly would use that feature of a knife either. For a few bucks more than the Promate knife, this knife is a steal. Atomic Aquatics is a big name in diving equipment. The 4 inch titanium dive knife features a serrated as well as non-serrated blade and a line cutting notch. The knife’s sheath is of very good construction, better than that of the other two knives. It also is fully disassemable so you can easily clean your knife once you get on to land. The Atomic Aquatics knife has a 5 star review on Amazon and is very popular with divers on dive forums. One member even stated how he has his for over 5 years now and truly enjoys this dive knife. You can see the latest price HERE. If you are new to diving or hip to diving, you still need a good, reliable dive knife. I recommend you getting a dive knife that has both a serrated and non-serrated edge since it would be the most efficient knife. There are some dive knives out there that are folding, but avoid those. Also avoid the non-titanium dive knives since stainless steel will rust. Also, you must take more care of your dive knife if it is made of stainless steel whereas a titanium dive knife can withstand a good deal of lack of maintenance. Out of the three we reviewed, I highly recommend the Underwater Kinetics. 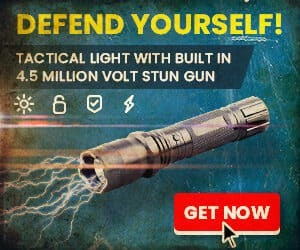 It is the same price as the Promate but features double the blade! It als has a much better sheath than the Promate. The only reason why the Promate is popular was because it was used by Bear Grylls. If you want a higher end knife, the Atomic Aquatics is a good choice. It’s about the same price as the Underwater Kinetics. Like this review? Agree or disagree? Post your opinions in the comment box below. 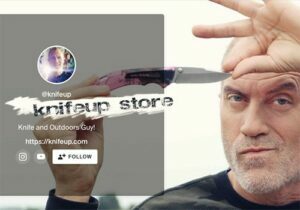 Hey – I am looking to buy a folding knife that I can swim and canoe with. I am in and around the water a lot for work and recreation. Usually I prefer working with a straight edged knife, but think that a serrated blade would be better for cutting wet nylon rope and so forth. Benchmade used to have a folding sheepsfoot-tipped serrated knife that would serve my purpose, but now it looks like the closest thing that they have is the Griptilian with N680 steel. What do you think about this? Will the lock mechanism rust and seize if I swim with it frequently? By the way, I have a titanium fixed blade knife on my flotation vest, but I only wear my vest if I am running rapids or the water is super choppy. I want a folder that I can stick in a side pocket of my shorts and leave there with minimal maintenence. I have tried fixed blade divers’ knives, but they don’t sit in the pocket as well as a folder. I am also an avid canoeist and there’s really no right answer as to which knife is best. Your choice of the Griptilian is actually a good one. I don’t have every knife out there, so I can’t comment directly, but I can tell you that I have a few knives I really like on canoe trips. I personally don’t like anything in my pockets at all, so I use a folder hunting knife from Kershaw. It’s the Lonerock folder. I use it on all my trips because it has a sheath that is super strong and sturdy nylon and can be placed on my belt in either horizontal or vertical positions. the knife itself is substantial so I know it won’t fail. It has a full belly for skinning (which I don’t really need) and no serrated edge, but I keep it really sharp so I’m not worried about its ability to cut any rope in an emergency. It doesn’t have a high carbon blade, but it’s also really inexpensive and the steel is decent (equivalent to AUS-8). It carries so well on my belt, I don’t even know it’s there. There are better knives for this purpose (there will always be a “better” knife since there are thousands to choose from). I also really like the Rat-1 from Ontario Knife Company for wilderness trips, but I don’t like the fact it does not come with a case. I have to shove it in my pocket which I won’t do on a canoe trip. I can’t speak to the swimming issue personally since I try to always keep my knives dry and I don’t have tons of experience with dive knives. I gotta admit that Promate makes excellent dive knives. I am glad you listed them as number 1 because they really are the best at producing dive knives. Quick question: do you prefer titanium or stainless steel dive knives? Aren’t “non-man made” and “natural” the same thing? try cutting rope with the uk knife, it doesn’t cut, not the knife I would want in emergency. Great recommendation for an all purpose diving knife. It is hard to pack all of those features in a solid knife like that. 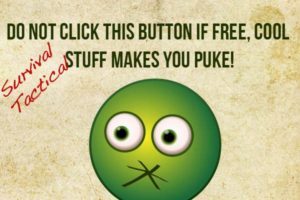 lol looks like everything Bear Grylls touches is crap.